When it comes to fonts, Yellow Design Studio consistently hits them out of the park. Their latest Mighty Deal is no exception. 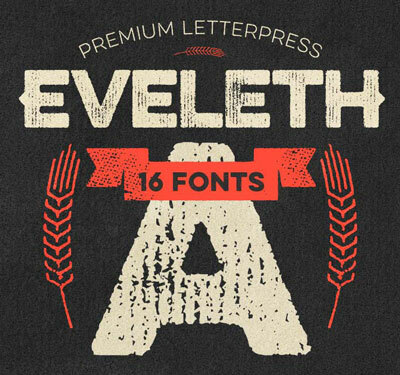 With the Eveleth Premium Letterpress Font Family, you’ll get yourself 16 charming vintage fonts to work with. Additional weights, shadow layers and entertaining icons, shapes and emblems are just a few of the extras that come along for the ride. And if you act now, you can save yourself 82% off the regular price! 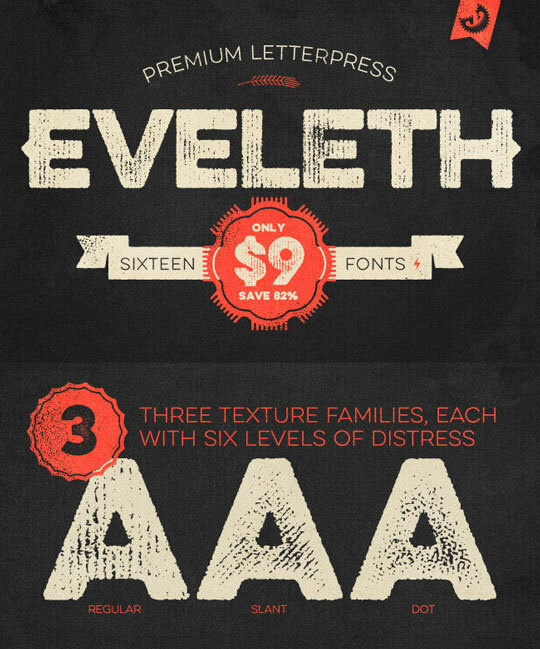 Made up of 3 unique sub-families, each with its own printed texture, the Eveleth collection includes 16 different fonts! With this bundle, you’ll get the following: Thin, Light, Regular, Bold, Slant Light, Slant Regular, Slant Bold, Dot Light, Dot Regular, Dot Bold, Icons, Shapes, Shadow, Clean Thin, Clean Regular, and Clean Shadow. 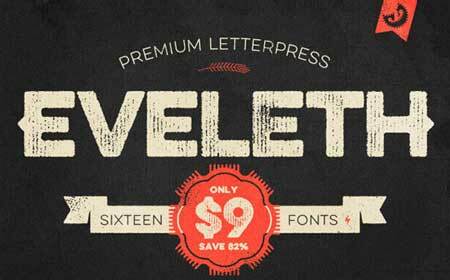 Eveleth isn’t just a vintage type font, it’s a heckuva lot of fun. Created by the talented folks over at Yellow Design Studio, this font family offers some extreme realism and vintage charm. 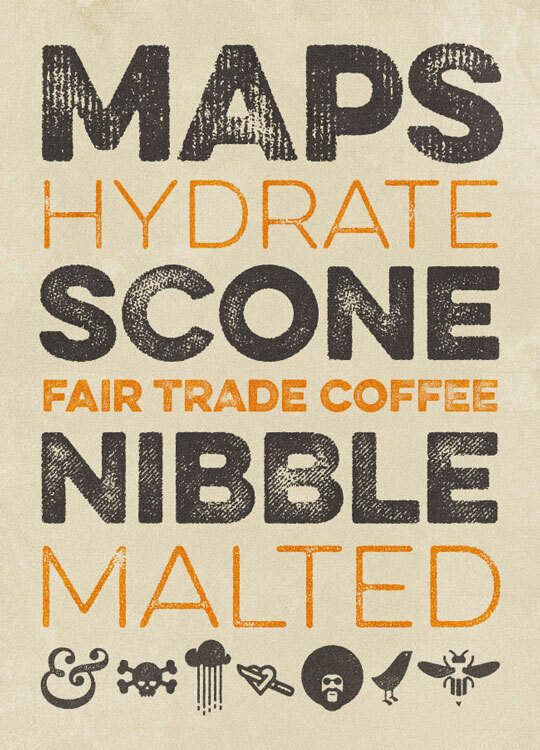 The Eveleth Font Family includes more than just your basic alphabet. 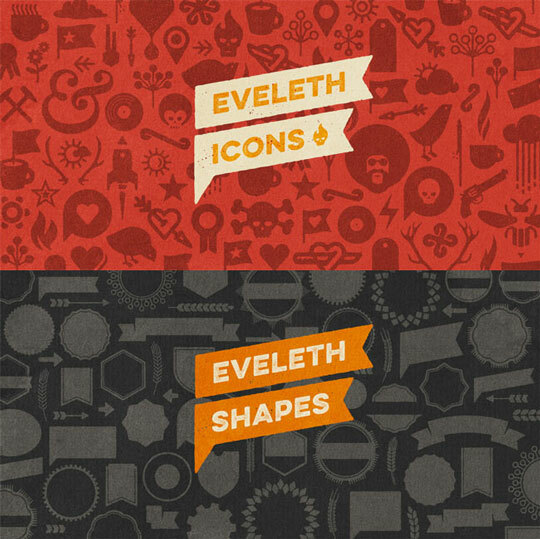 You’ll also get yourself a collection of really useful shapes, icons and emblems to spice up your latest projects. Other features included in this bundle are a Thin weight, a shadow layer and even clean (non-distressed) versions. The font package includes character maps for the icons and shapes, as well as instructions for adding spurs. Let Eveleth speak to your audience, no matter what language they use. The font supports multiple languages including: Afrikaans, Albanian, Basque, Bemba, Bosnian, Catalan, Cornish, Croatian, Czech, Danish, Dutch, English etc..
Eveleth is so versatile, you can use it just about anywhere. Create exciting images for websites, photographs, T-shirts, brochures, signs, posters, and so much more. Normally, the Eveleth Premium Letterpress Font Family sells for $49 (for the Desktop version), but for a limited time only, you can get the entire set for just $9! That’s 82% off the regular price! OR get both the Desktop and Web Font versions together for just $15! Click the BUY NOW button to choose your preferred version and get started today!